Working hours Monday-Friday 9-5 & Saturday 9-4 CLOSED SUNDAYS! 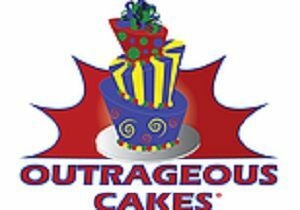 Outrageous Cakes is an award winning bakery located in the Tampa Bay area. Specializing in custom cakes, cupcakes and decorative cookies for all occasions. All of our edible creations are made to order and we offer free deliver for most areas in Tampa. Scotchie's bakery sells a variety of custom cakes and cupcakes for your birthday, wedding and more, delivering to home or office in Winter Park and the Orlando, Florida area. For elegant, contemporary, designed-led cake, or more, call The Cake Stop today! They specialize in delivering gorgeous custom made cakes and cupcakes for weddings, parties, birthdays, and more.